Note: If you are connected to the internet but unable to access certain websites or online servers, please contact the ExpressVPN Support Team for direct assistance. Disconnect from ExpressVPN and try to access the internet. 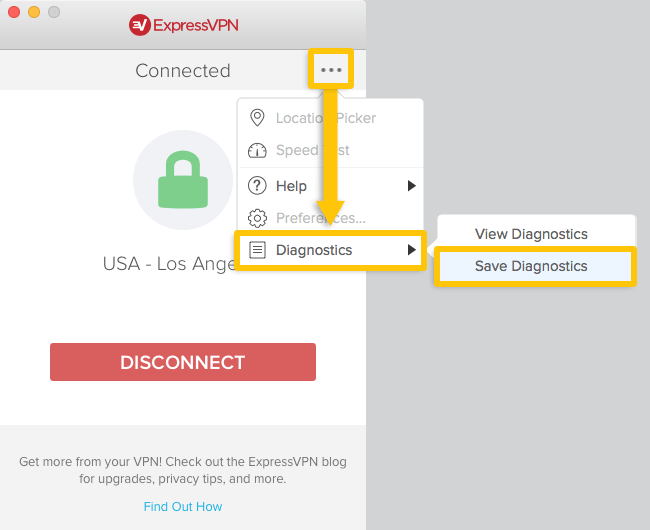 If you can access the internet, connect to ExpressVPN and move to the next step of this guide. If you cannot access the internet, the problem has to do with your internet connection. You may need to reboot your device and check your network settings to fix this. Need help? Contact the ExpressVPN Support Team for direct assistance. 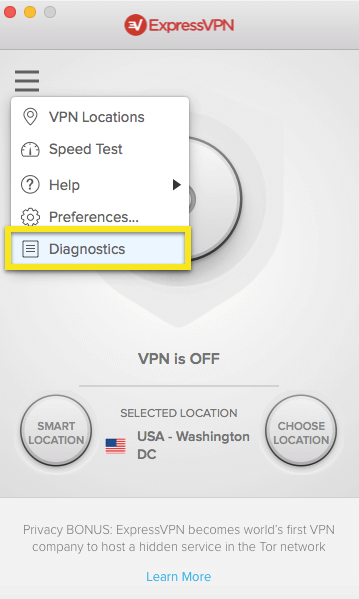 Select a different ExpressVPN server location and connect to it. If you can access the internet when connected to a different server location, there may be a temporary issue with the server location you originally selected. Please contact the ExpressVPN Support Team about the issue and continue to use the internet in the meantime. VPN protocols (e.g. UDP, TCP, L2TP, etc.) are the methods by which your device connects to a VPN server. By default, ExpressVPN uses the UDP protocol. However, this may be blocked in some countries. Other possible causes and solutions can be found in the ExpressVPN log file or diagnostics. You can save your log file or diagnostics and email it to the ExpressVPN Support Team at support@expressvpn.zendesk.com. To save your diagnostics, click the hamburger menu (≡) > Diagnostics > Save to File. To save your diagnostics, click the ellipsis (…) > Diagnostics > Save Diagnostics. 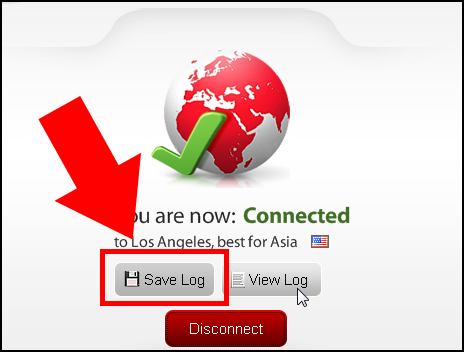 In the ExpressVPN window, click Save Log. If you’re tech-savy, find out what the error messages mean!